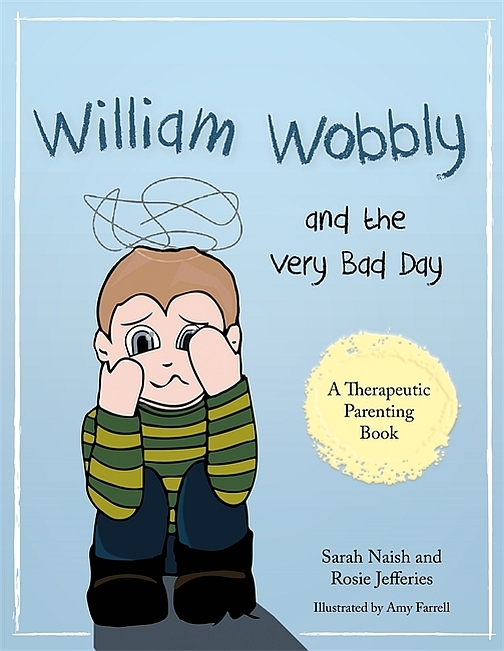 Something happened to William Wobbly when he was very little which makes it hard for him to understand or control his feelings. Luckily, his new mum is here to help with his wibbly wobbly feelings. Written by a mum who understands, and her daughter (who used to have a lot of wobbly feelings), this is a story for children functioning at age 3-10 who struggle with sensory overload. Sarah Naish is Director of Inspire Training Group www.inspiretraininggroup.com which delivers training to fostering agencies and local authorities on attachment and trauma-related issues. Sarah qualified as a social worker in 1991 and went on to found her own therapeutic fostering agency. She is parent to five adopted children. Her daughter, Rosie Jefferies is also a trainer at Inspire Training Group. Sarah and Rosie both live in Gloucestershire, UK.